Need legal advice on divorce or separation? We find that people usually prefer to obtain their own Divorce, by way of preparing and filing the Application for a Divorce and appearing at the Divorce Hearing, if necessary, allowing them to focus their financial resources upon their domestic violence, parenting and or property settlement matters. The circumstances where people usually would seek our assistance in obtaining a Divorce, usually include, but are not limited to, where they have lived separated under the one roof for a period of time, they have been married for a period of less than two years, thereby needing counselling prior to making an Application for Divorce or where they do not know the whereabouts of their former spouse for whatever reason. If you are seeking a divorce, which is not a joint application and you have children under the age of 18 years, it is necessary for the applicant to appear before the Court to advise the whether the parties have made suitable arrangements to parent their children, ensuring that their children’s best interests (not the parent’s best interests) are taken into consideration. To apply for a divorce through the Court, you must have been separated from your spouse for at least 12 months. 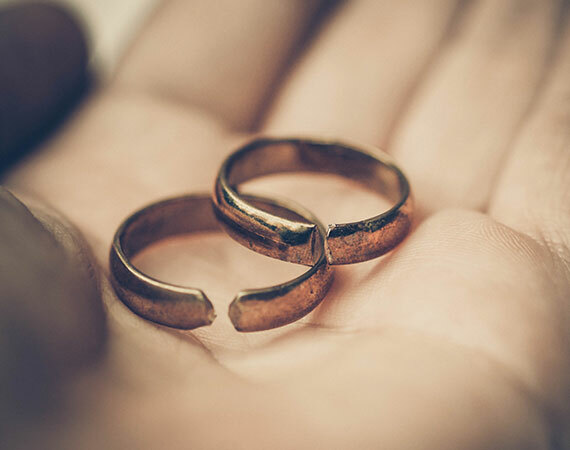 Although you can obtain a divorce prior to settling property matters, there is a 12 month time limit after a divorce is granted for applying to the Court for a Property Settlement and/or Spousal Maintenance matter. If you have any queries regarding your circumstances, call us for a 15-minute free telephone consultation. Our Gold Coast based office is available to take your call on Monday to Friday between 8:30 am and 5:00 pm.